Six diets were produced using graded levels of banana peels (5, 10 and 15% for both ripe (RBP) and unripe (UBP) banana peels) which were compared with the control diet (CTR) containing maize in the diet of C. gariepinus juveniles. Feeds were fed to triplicate groups of ten fish each to satiation thrice daily for ten weeks. There were significant differences (p0.05) in Mean Weight Gain (MWG) and Specific Growth Rate (SGR) across diets. The CTR had the highest MWG (58.40 ±5.27g) and SGR (1.877±0.09%) while the least values of MWG (25.03 ±1.85g) and SGR (1.106 ±0.05%) were recorded in Diet3 (15% UBP). The Feed conversion ratio, Protein efficiency ratio and Protein intake recorded significant differences (P0.05) etween the CTR and other diets. Similar results were recorded for Profit Index, Incidence of Cost and Economic Investment Cost Analysis. 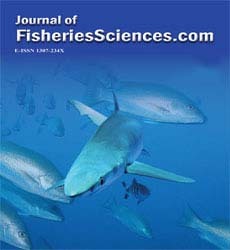 Likewise, analysis of fish organs recorded significant differences (P0.05) between the CTR and other diets. Though the CTR had the best growth performance, it had the least Profit Index (1.87) while Diet2 (10%RBP) had the highest Profit Index (3.11). Thus, plantain peel is a proftable alternative energy source for partial substitute of maize up to 10% RBP and UBP in diet of C. gariepinus.